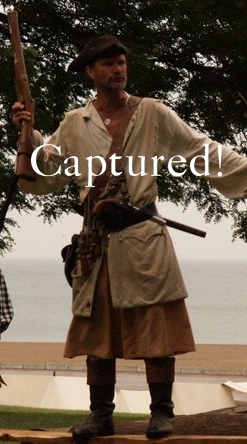 You have found the Great Lakes River Pirates! 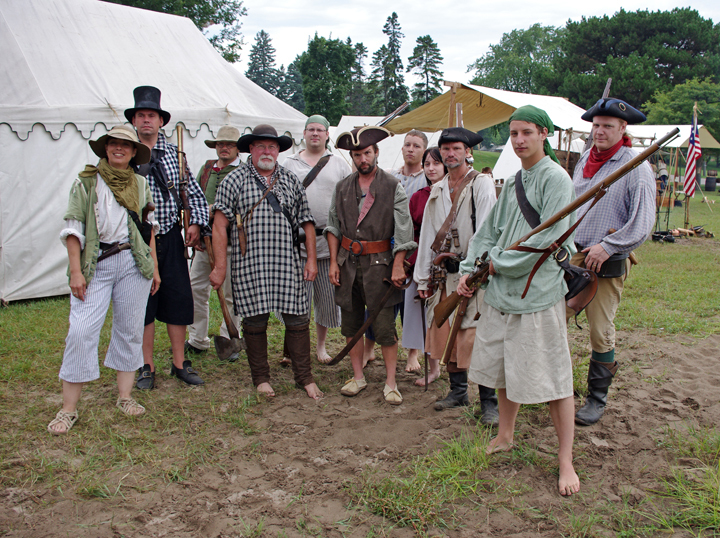 The Great Lakes River Pirates are outfitting for many ventures and has room for a few stout hands. It is our Mission "To educate Ourselves and Others in Matters regarding River Piracy as it was practiced inland on the Lakes and Rivers of the 18th and early 19th C., through the adoption of the Clothing and Mannerisms of the Pirates and their Associates, Victims &c."
The Great Lakes River Pirates are available for Educational Presentations and Living History Events. Specialties include Raids & Robberies of all River Traffick, Disruption of Commerce and General Mayhem. Our Fleet includes the batteaux Raith and Wespe, the dory Tantrum, the punt Catspaw, and a plank-built pirogue simply known as II. Our flagship is a 23 foot sloop, Pirata Del Lago. We come equipped with three- and four-pound Cannon, Bowguns and various other Firearms and Weapons and the skills, knowledge, and inclination to use them.